Eevee Evolutions. . HD Wallpaper and background images in the Eevee Evolutions Clan club tagged: eevee evolutions leafeon glaceon umbreon espeon. This Eevee Evolutions Clan fan art contains anime, comic book, manga, and cartoon. 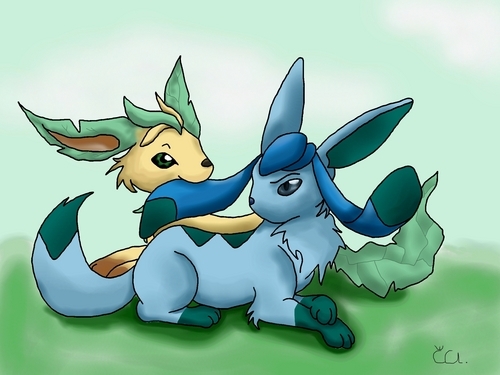 I love all of the Eevee Evolutions, I even have two Glaceon that are different genders.